Contact us for vacuum cleaner bags, vacuum cleaner accessories, vacuum cleaner motors and cleaning products. 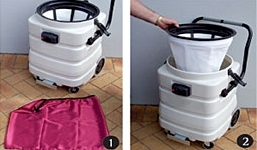 Most commercial vacuum cleaners come equipped with a thick polyester filter to block debris from entering the motor. This filter must be cleaned regularly. The task is not easy as it involves dismantling the filter cage and removing the fabric filter for washing and drying – usually off-site. This Microlon Bag provides an ultra fine barrier (micro stitched) to protect synthetic and natural fibre vacuum cleaner filters from the fine dust and debris that will eventually permeate and choke the filter thereby reducing vacuum suction! The Red Bag encases the regular filter unit to become the primary filter. It can be easily removed and either flicked or shaken clean. 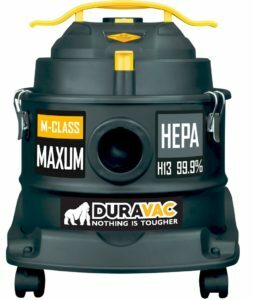 (if you are in the fine dust industry how much time do you waste cleaning and maintaining vacuum filters)? There are considerable savings in time and filter replacement costs and motor life is prolonged by reducing load and work (over heating). 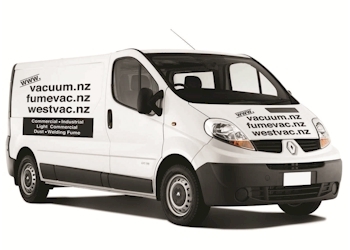 With the use of a Filter Gown, commercial disposable vacuum bags (expensive) become optional. (This option is not recommended when soiling is excessive and/or logic or health considerations dictate otherwise). Click here for full details (PDF file).